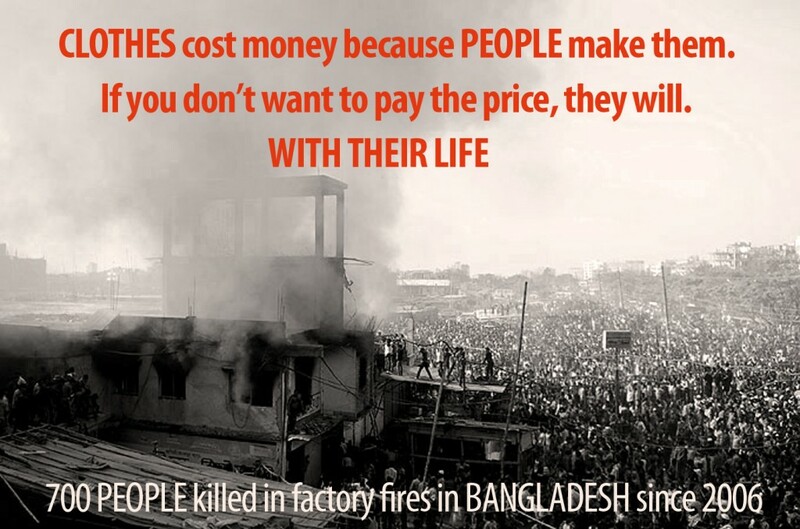 Before rejoicing in front of a ‘great deal’ when shopping for clothes, consider this: another garment factory fire tragedy in Dhaka, Bangladesh on January 26, 2013. At least 6 workers killed and 10 injured. Check the Country Of Origin and do your research before you buy anything. Let your money do the talking. Suits will listen.